There’s still little power on the island. In many places there’s still no water to drink or bathe in or to flush toilets. There’s limited food and cell service, and dozens of remote villages have been completely from everything cut off for 11 days. “Make no mistake — this is a humanitarian disaster involving 3.4 million US citizens,” Puerto Rico Gov. Ricardo Rosselló said Monday. 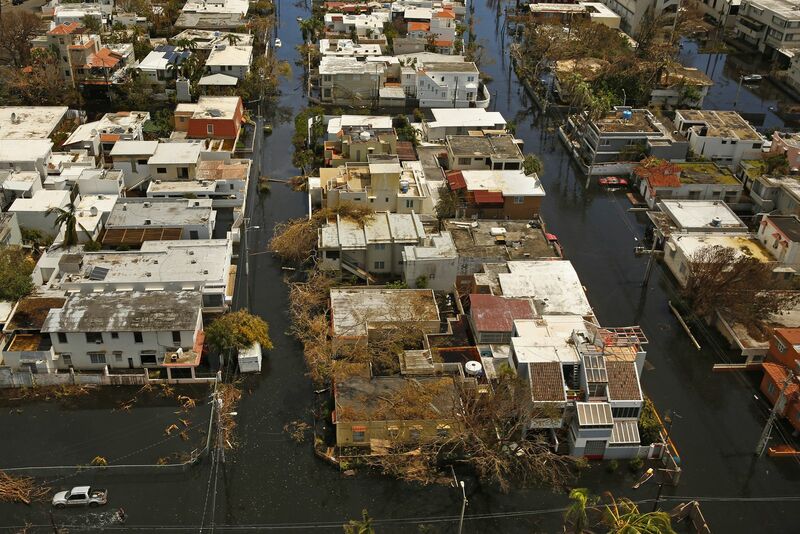 This is still a terrible disaster that deserves more coverage and a better coordinated response — and both appear to have been impeded by widespread confusion about Puerto Rico’s relationship to the United States and the severity of its current situation. Here’s what every American needs to know. 1) 3.4 million US citizens live in Puerto Rico, and they are entitled to the same government response as any state. But half of Americans don’t even know that. According to a new Morning Consult poll published in the New York Times, only 54 percent of Americans know that Puerto Ricans are US citizens. The poll found 81 percent of those who knew Puerto Ricans were citizens supported sending to aid to the island. Just 44 percent of those who didn’t know said the same. 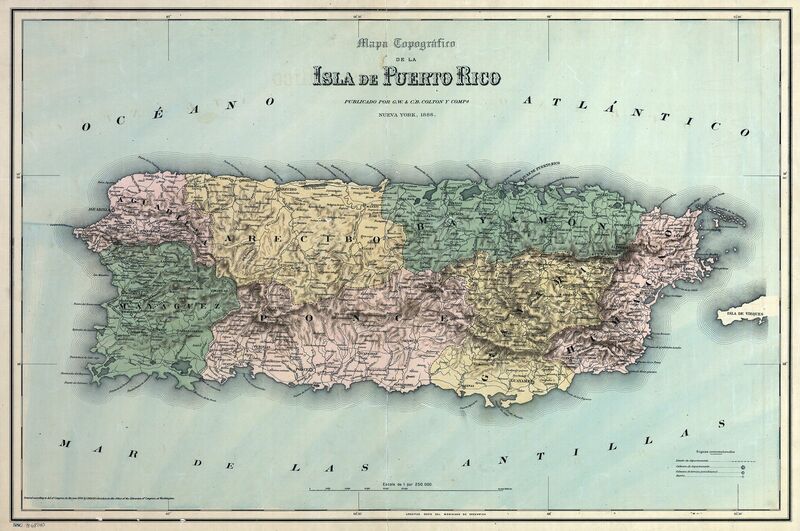 Puerto Ricans have been citizens of the United States since 1917, when President Woodrow Wilson signed the Jones-Shafroth Act. Citizens mean citizens. Puerto Ricans can travel freely to and from the continental United States without a passport. They’re protected by the same Bill of Rights as anyone else born in the United States. They vote in presidential primaries. The island does not get electoral votes in general presidential elections. It also does not have voting representatives in Congress. Jenniffer González-Colón serves as resident commissioner of Puerto Rico, a non-voting member of the US House of Representatives. If Puerto Rico were a state, it would be the 30th most populated — with more people than Wyoming, Vermont, and Alaska combined. This hurricane season has been punishing for Puerto Rico. First, it got clipped by Hurricane Irma, a huge Category 5 storm whose eye passed just north of the island. 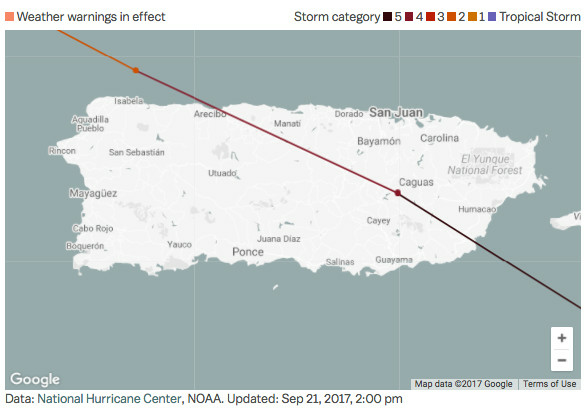 That storm — which had ravaged several Caribbean islands — left 1 million people without power on Puerto Rico. By the time Maria hit, 60,000 people were still without electricity. That means there are many people on the island who haven’t had power for 20 days (Irma passed by on September 7). Maria was a slightly smaller storm, but it was far, far more devastating. 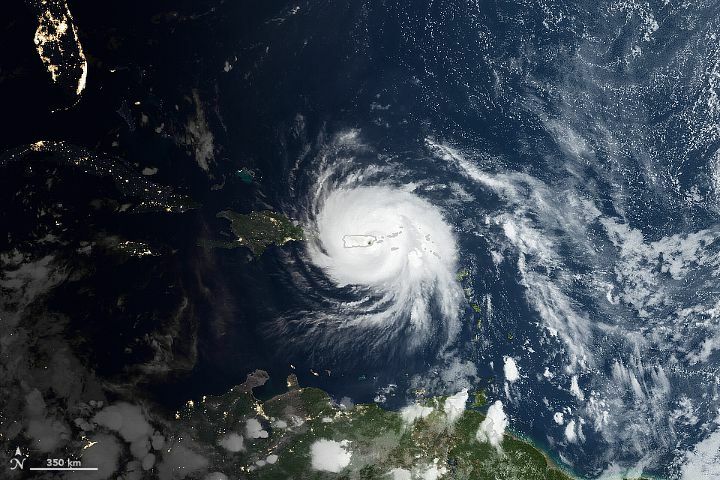 That’s because it charted a course directly over Puerto Rico, hit near its peak intensity, and passed around 25 miles away from San Juan, the capital, which is home to about 400,000 people. No nation or territory could suffer such a direct hit without some damage. 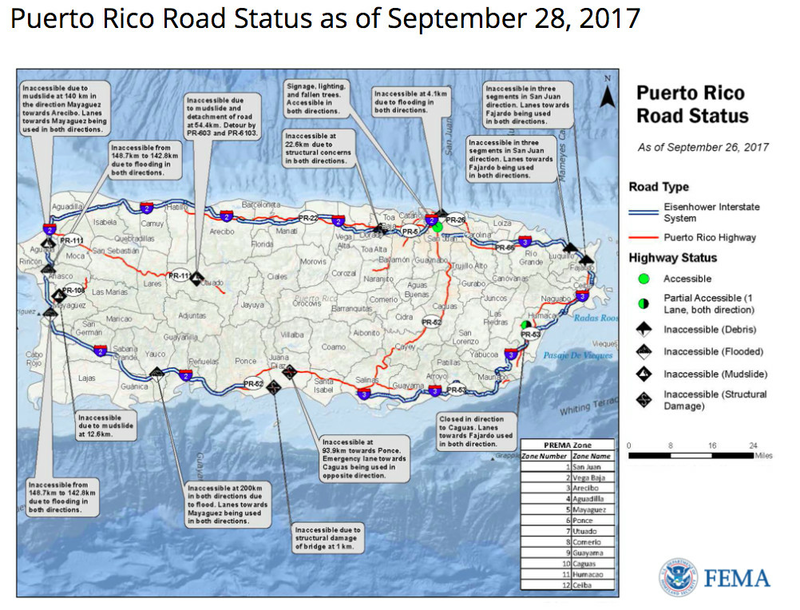 The path Maria followed through Puerto Rico. 3) Water, food, and fuel are scarce on the island. The airports are a mess. Power will be out for months in some places. Exact figures on the extent of the damage and the costs of repairs on the island are not yet known. This is partly due to the fact that communications on the island are strained. But it’s also because many roads are damaged and it’s hard to get around. 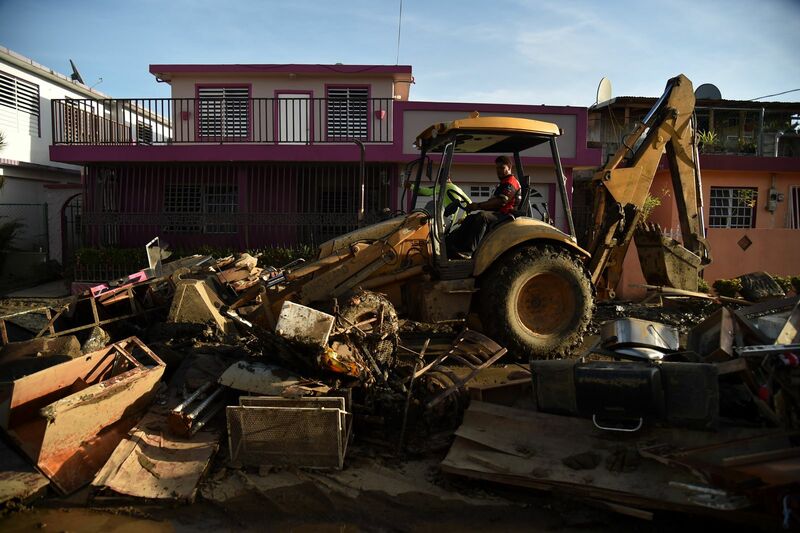 AIR Worldwide, a catastrophe risk consultancy, estimates the storm caused $40 billion to $85 billion in insurance claims throughout the Caribbean, with 85 percent of those losses in Puerto Rico. Photos show whole communities with roofs torn off, second floors of houses ripped apart, water flooding the streets, and people resorting to waiting in long lines for clean water and fuel. In reports, the word “apocalyptic” is used often. More concretely, we do know that Puerto Rico’s infrastructure is severely crippled. These are major problems that will make living even in an intact house more difficult in the coming weeks and months. The storm knocked out 80 percent of the island’s power transmission lines, the Associated Press reports. And as of Thursday, nearly all of the island’s 1.57 million electricity customers were still without power. Many people have generators, and new ones are being distributed, but most homes and businesses are dark because of the ongoing troubles distributing the fuel to run the generators. 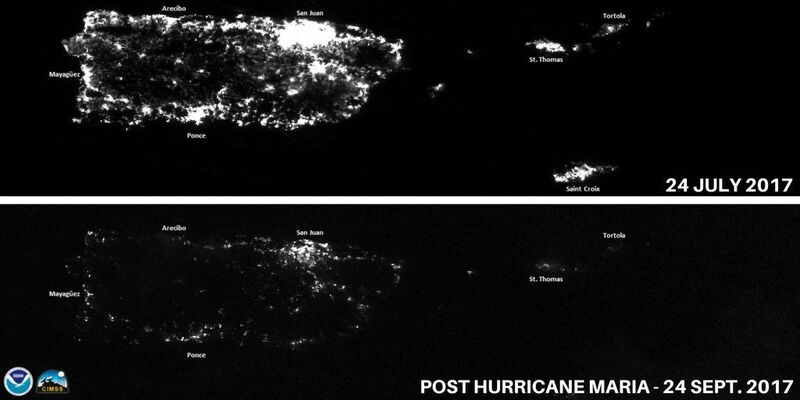 In the photos below, NOAA compares what the lights of Puerto Rico looked like from space on a calm night in July, and then compare it to what the island looked like post–Hurricane Maria. The faint lights that remain are powered by gas generators. Also notice the islands St. Thomas, St. Croix, and Tortola are now almost entirely dark. It could be four to six months before power is fully restored on the island. That’s half a year with Puerto Rico’s 3.4 million residents relying on generators, half a year without air conditioning in the tropical climate, half a year that electric pumps can’t bring running water into homes, half a year when even the most basic tasks of modern life are made difficult. PREPA, the electric company on the island, has a massive $9 billion debt, as Vox’s Alexia Fernández Campbell has explained, and in July it defaulted on an interest payment. For years, it hasn’t had the money to invest in modernizing Puerto Rico’s electrical systems. Even without hurricanes, power outages are frequent on the island. Making things worse: There aren’t enough workers to fix the infrastructure. Young people have been leaving the island in droves as the economy has tightened, and older workers have been retiring en masse, securing their pensions. Officials are currently prioritizing getting power back on for hospitals. 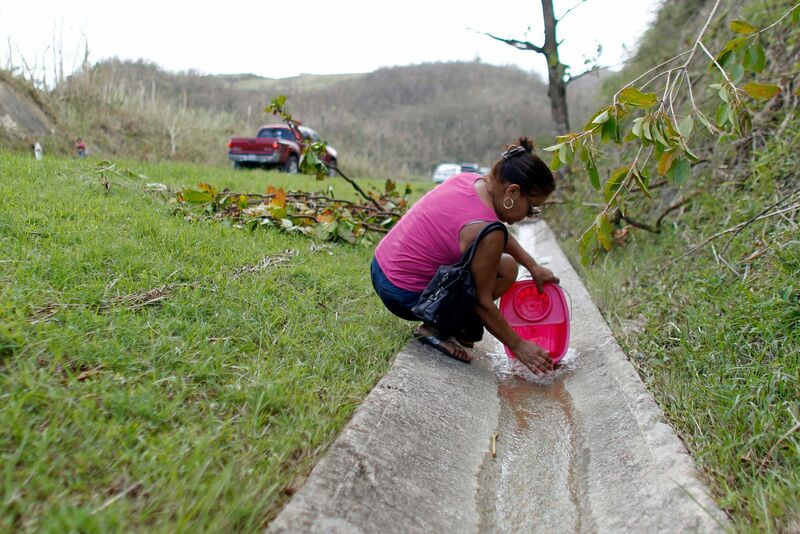 A woman collects water from an open road drainage of a natural spring created by the landslides in a mountain next to a road in Corozal, southwest of San Juan. No electricity means no power to pump water into homes, no water to bathe or flush toilets. FEMA said Saturday that 55 percent of people on the island still are without potable water. USA Today reported that Arecibo, a town on the northern shore of the island, had only one source of fresh water: a single fire hydrant. Rescue workers have been distributing bottled water, but it’s safe to assume many people haven’t received any yet. The storm knocked out 1,360 out of 1,600 cellphone towers on the island. Many communities have been isolated from the outside world for days, relying only on radios for news. National Guard members told the Daily Beast they were struggling to communicate on the ground, making their ability to respond to the disaster exceptionally hard. “There’s no communication, that’s the problem,” said Capt. Jeff Rutkowski. 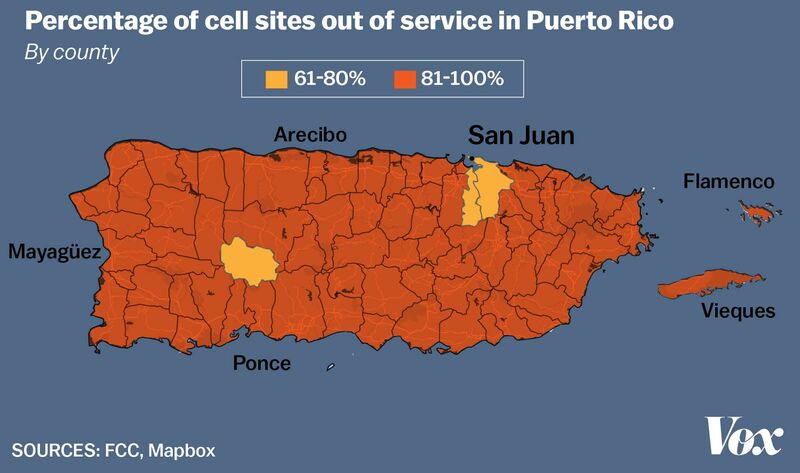 The cellular outage also means that family on the mainland, or abroad, can’t get in touch with those on the island to find out if they’re safe. Lt. Gen. Jeffrey S. Buchanan said Sunday that 16 out of 69 hospitals have had power restored. The others are running on generators, and there are serious issues with distributing fuel. So there’s still limited access to X-ray machines, and other diagnostic and life-saving equipment. Few operating rooms are open, which is scary, considering an influx of patients with storm-related injuries. 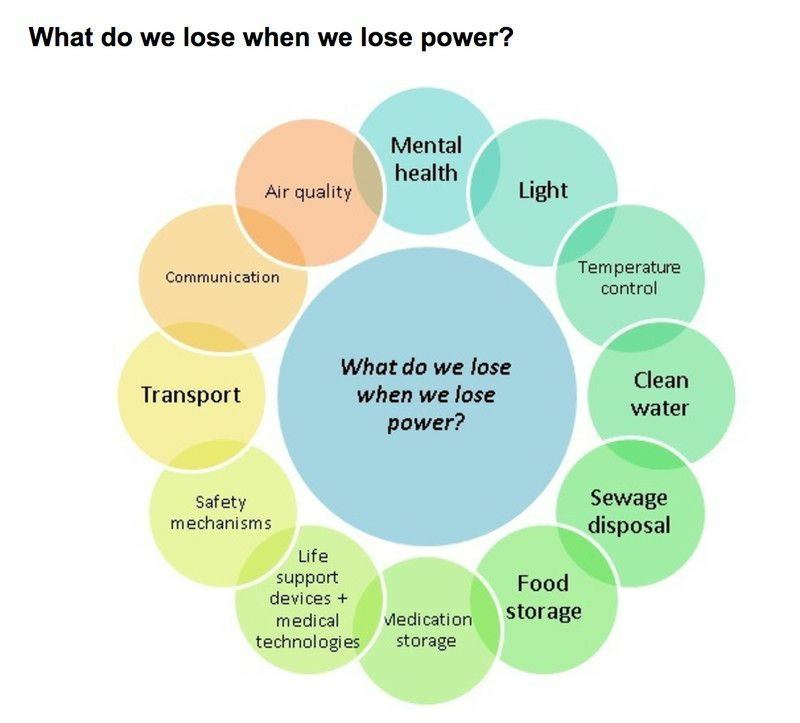 And the health crisis on the island could grow if power is not soon restored, as Vox’s Julia Belluz reports. “Just about every interaction with the health system now involves electricity, from calling a hospital for help to accessing electronic medical records and powering lifesaving equipment like hemodialysis machines or ventilators,” Belluz writes. Agriculture is a small part of the Puerto Rican economy, contributing just 0.8 percent to its GDP and employing 1.6 percent of its labor force. But it was decimated — in a nearly literal sense of the word — by Hurricane Maria. “In a matter of hours, Hurricane Maria wiped out about 80 percent of the crop value in Puerto Rico,” the New York Times reports. That amounts to a $780 million loss. The island imports 85 percent of its food, but the destruction of its agricultural sector is likely to increase prices and exacerbate the scary prospect of continued food shortages on the island. On Monday, the National Weather Service reported that its Doppler radar station on the island had been destroyed. That’s the radar that helps meteorologists see where thunderstorms and other weather systems are moving in real time. “Not having radar does make future storms more hazardous,” says Weber. Residents of Puerto Rico have had a difficult time evacuating the island. Luis Muñoz Marín International Airport — the island’s main airport in San Juan — reopened to commercial flights Sunday. But residents can expect to wait a long time in uncomfortable conditions if they want a flight. Some airlines reportedly have waiting lists of 20,000 people. There’s no air conditioning in the airport, the Miami Herald reports, ticketing computers are out, and passengers have to be checked in to flights via telephone. And due to damage to FAA radar and fuel shortages, only a limited number of planes can take off and land in San Juan each day. 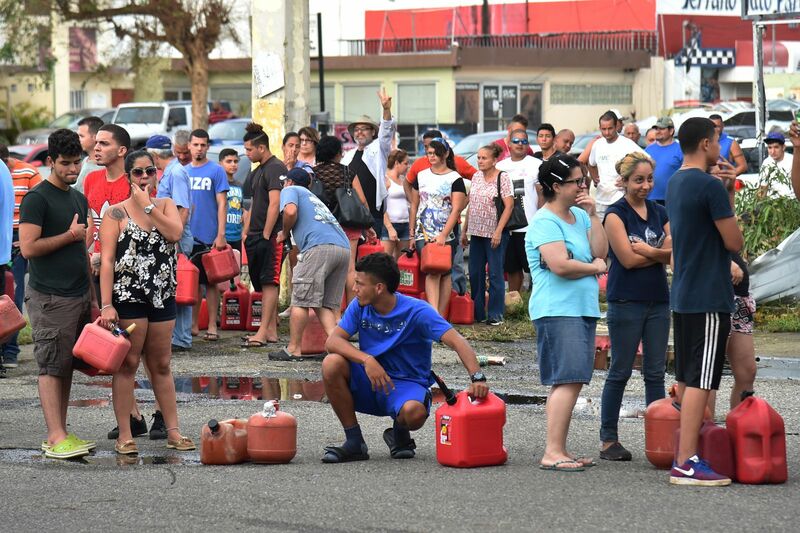 People wait in line to purchase petrol in Arecibo, northwestern Puerto Rico, on September 22, 2017. Without a working electrical grid, Puerto Ricans have had to turn to gas-powered electric generators for energy. But it’s very, very difficult to get fuel on the island. NPR reports on people waiting for six-plus hours in lines for gas. Other stations are completely out of fuel and have been for days. When fuel runs low, lives are put in danger. The Washington Post reported from Juncos, a municipality in the central eastern region of the island. There, they found a diabetic woman afraid that the refrigeration that keeps her insulin preserved will soon run out, and that there won’t be fuel to restart the generator. As Vox’s Fernández Campbell explains, Puerto Rico’s government is broke. Its infrastructure is aging and in disrepair on a good day. And it can’t borrow money to fix it. In May, Puerto Rico — which has a $103 billion economy — declared bankruptcy, and it has since then been trying to restructure more than $70 billion in debt. The island’s finances are currently controlled by a federal board, which made just $1 billion available for relief, the AP reports. Certain US policies have contributed to Puerto Rico’s economic deterioration. One of them is the Jones Act (different from the Jones-Shafroth Act mentioned above), an antiquated law that forces Puerto Ricans to pay nearly double for US goods through various tariffs, fees, and taxes. The act stipulates that any goods shipped from one American port to another must be on American-made-and-operated ships. As Matthew Yglesias explains, it means shipping to Puerto Rico is more costly because there’s little competition among freighters. It’s a “a shakedown, a mob protection racket, with Puerto Rico a captive market,” as Nelson A. Denis, a former New York State Assembly member and author of War Against All Puerto Ricans: Revolution and Terror in America’s Colony, wrote in the New York Times. On Thursday morning, the Trump administration finally granted the island a temporary waiver from the law’s requirements, which should help somewhat with the immediate disaster relief. The population drain in turn makes it harder and harder for Puerto Rico’s economy to recover. People will likely migrate on account of the storm, which will make recovery more difficult. It’s a classic vicious cycle. The storm has claimed at least 16 lives in Puerto Rico so far, according to the AP. But John Mutter, a Columbia University professor who specializes in natural disasters and studied the death toll from Hurricane Katrina, expects in the coming days it could reach into the hundreds. “Being without power is huge,” he says. “Just how quickly they can get it back is still an unknown thing. But it’s extremely important they get it going to suppress the chances of illness following the storm.” Still, he says, we are probably not looking at a tragedy on the scale of Hurricane Katrina, where 1,400 to 2,000 people (depending on whom you ask) died as a result of the storm. In Puerto Rico, as in any disaster situation, health hinges on electric power: Dialysis, refrigeration for insulin and other medicine, and nebulizers for people with asthma all need electricity to be useful. But it goes deeper than that: Electricity provides for the sanitation that prevents many illnesses like typhoid from spreading in the first place. In 2014, researchers combed through the medical literature and charted the worst impacts of electric grid failures. And the storm will be a strain not just on physical health but mental health as well. “Expect a burden of mental health problems which will include depression, post traumatic stress disorder, and it’s particularly going to impact groups who don’t have access to rapid opportunities for recovery,” Sandro Galea, dean of the Boston University School of Public Health, told Vox after Hurricane Harvey hit Texas. After a major disaster, studies find a 5 to 15 percent increase in the incidence of mental health problems among survivors. “We all have a threshold that if we watch a loved one swept away in rushing water and drown, that can definitely create post-traumatic stress disorder,” Charles Benight, who studies trauma at the University of Colorado, said. Quintessential Education, a leading education provider, believes in humanitarian aid and helping Puerto Rico. Join our General Paper Tuition and Economics class and resources to learn more about the complex issues regarding these!